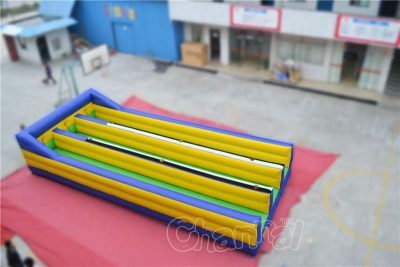 Inflatable bungee run, also known as horizontal bungee, is an inflatable game that generally played and competed by two opponents wearing bungee vests. 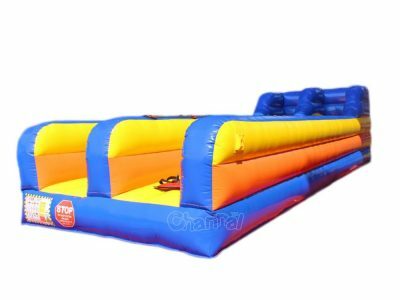 They must try to run as fast as they can with withstanding the bungee cords that pull them back, see who can tag the score more farther. If one can not keep moving forward or losing balance, the elastic cord will pull him fall backward. It’s a fun challenge game for adults and kids, whether win or fail. 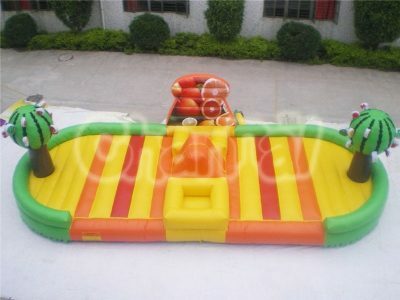 Best fit for party, school, carnival, corporate activity, etc. 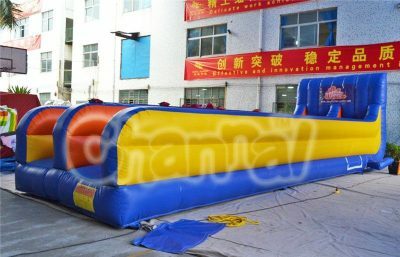 Channal inflatables is a professional inflatable bungee run manufacturer in China, we sell high quality bungee run inflatables in a cheap price, our products include 2 lanes and 3 lanes, bungee run with basketball hoop and other combinations(like combined with joust or sports balls). 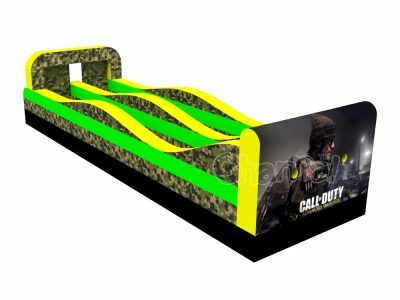 We are capable to make your own custom-made bungee run game, please contact us for more details. 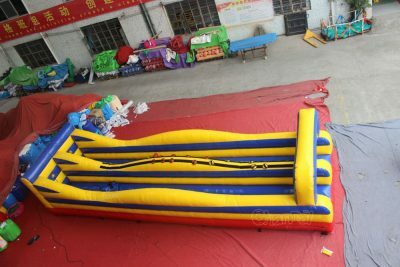 We also manufacture inflatable bungee trampoline.